Sweet Baby Girl Chloe loves animals and helps to take care of little kittens in the Sweet Baby Girl Cat Shelter. Join her and have tons of furry fun! Mr. Fluffy is really hungry, precious little Snowflake is waiting for a bath, snuggly Whiskers needs eye doctor help and adventurous Oliver has a broken tail. 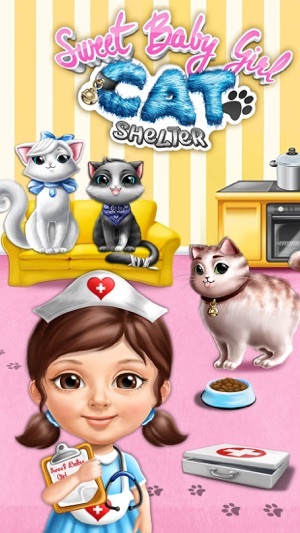 Don't forget to clean up the cat shelter with pet vet Chloe! 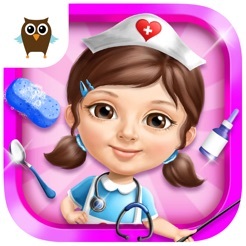 · Feed Mr. Fluffy - cook the most delicious fish with pet vet Chloe! 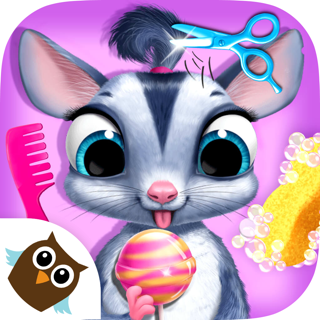 · Give Snowflake a bath - shower, shampoo, dry and comb her soft white fur, then trim and color the claws! 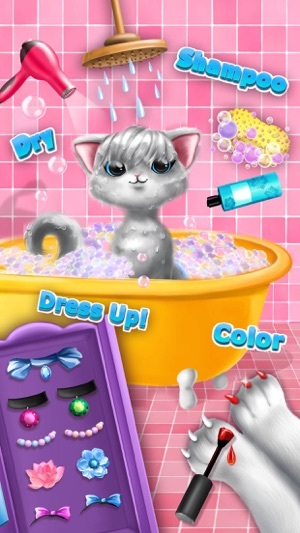 · Dress up Snowflake - choose the cutest collar and stylish kitty cat accessories! 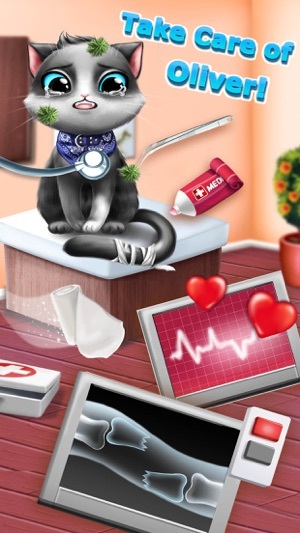 · Treat Oliver's broken tail - use the X-ray machine, fix the tail and help Olive feel much better! 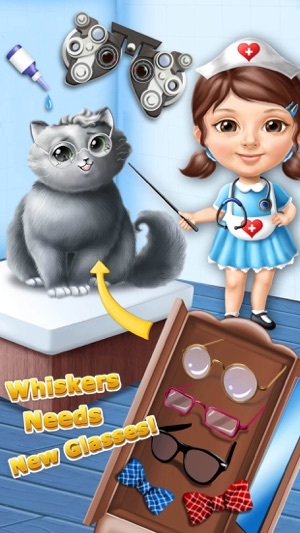 · Play cat eye doctor and treat Whiskers' eyes - he needs new glasses! 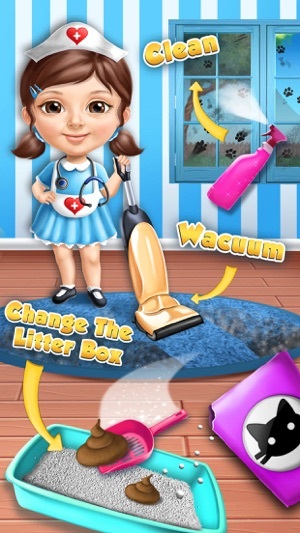 · Clean up with pet vet Chloe - wipe, sweep, polish, vacuum, change the litter box and throw away the trash! It's misleading what you can play. 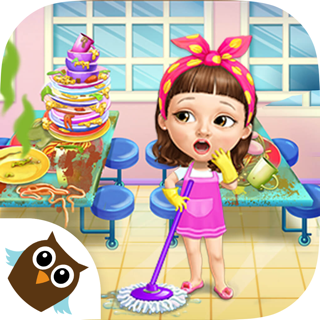 Only "clean up" is free. The rest must be purchased for 1.99 each. Once we reached level 3, the app kept crashing no matter what we did. 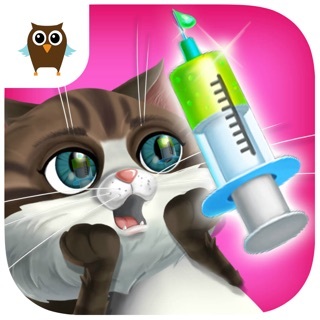 I wouldn't download this. Too many bugs. 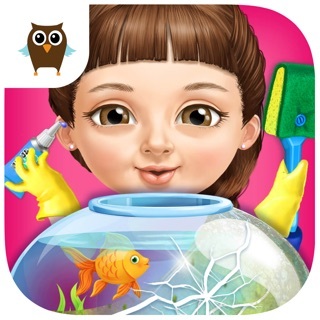 Pass this game, you can only clean up of feed them. The rest you have to pay for. 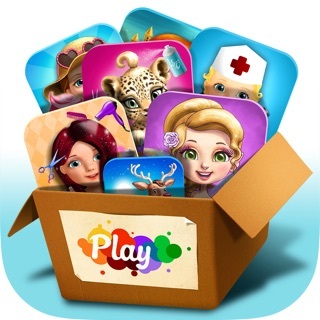 My 3 year old great niece wishes to play more but we can't afford to.